Why are you sweating in the Gym right now as the air outside is getting cooler? Why are you a Basketball Coach? Many of us who call coaching our profession come by it through a variety of avenues. Some of us have a linear, direct path to the sideline or the bench, whereas others find themselves through serendipitous, fortuitous circumstances, holding a whistle and a dry-erase board. In either circumstance, if you found yourself onto this website, you are by action, demonstrating that coaching to you is more than just a job or a hobby, but it is a vocation and position that deserves respect and needs to be done well. With that being said, it becomes an important exercise for us as coaches to examine and self-reflect on the reasons that we have been drawn to coaching. Simon Sinek, author of the book, “Start with Why ” dedicates an entire book to the notion and importance of why we do what we do and who that makes us. I believe the best coaches ARE coaches as part of their identity, not just being a basketball coach as an occupation. It becomes who we are and why we exist. 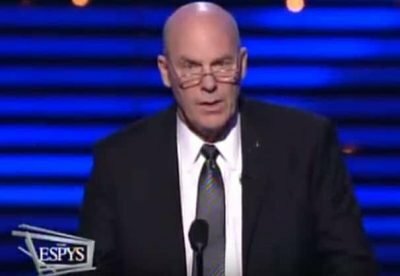 Download the Don Meyer Shooting Clinic Notes by clicking this link! • People who want to be great, to be productive, in their profession of choice, must take time for self-reflection. Taking time to examine where we are in our professional journey, how we got there, and why we got there, helps us to determine where we need to go next and if we are on the right path. In the end, that process helps us be better able to serve and help players, and ultimately the team. Self-reflection must be a daily part of your routine. Kevin Eastman often speaks of dedicating at least 2 hours a day to reading as a way to inform his coaching; he needs that time to read to be a better coach. Much in the same way, daily or consistent self-reflection is just as important because it engages us to actively process who we are about our role as coach and how we affect and impact others. • What about the role of a basketball coach appeals to me? • What have prior experiences informed my understanding of the role of a coach? • When I coach, who am I serving? Myself or others? • If I was not able to or chose not to coach, how else would I meet this internal need? • What purpose do I serve? • If My Why is sound, how much time and effort am I dedicating to having the greatest positive impact on players as possible? When we are dialed in on the moment of being with our players, focusing on the task or drill at hand, The Why of being a coach may not appear to be important. However, understanding The Why, My Why, or Our Why, informs and enriches every interaction we have and every lesson we teach our players. Our Why unifies every thought, plan, word, or action we put into motion. That unification communicates to our players our competence in our skill, confidence in what we believe, and care that we have for our players. All of this, in totality, will drive us to overcome the various challenges and pitfalls of our job, from the hot and sweaty gym to the vigorously advocating parent, so that we can be there for our players and serve them.